Pay-To-Win has always been a very sensitive subject among the EVE player community. CCP created a game which did not require any grind to acquire experience points, but at the same time, to grow in EVE means a long-term commitment. 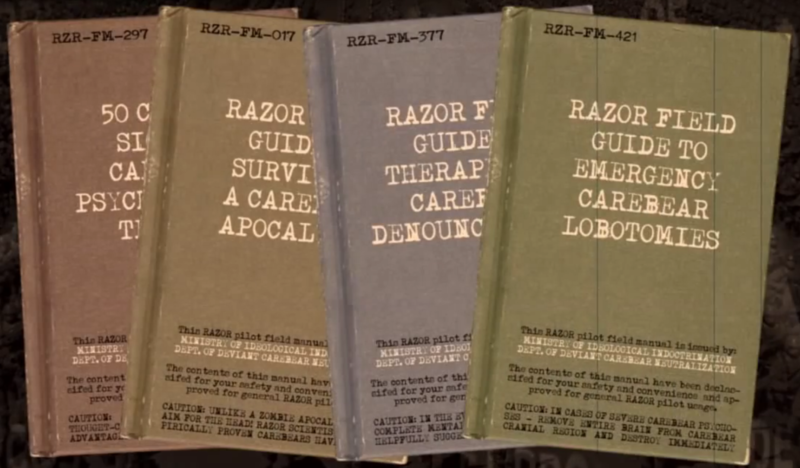 For a subscription-based game, this was innovative. Zero Punctuation may make fun of the fact that EVE rewards you for not playing it, but in a time when World of Warcraft earlier MMOs had set the bar at forcing players to go through repetitive quests just to progress in levels, CCP introduced a wholly new idea. In business terms it was also smart. After all, while you may not have to do mind-numbing PVE, you still had to keep paying your subscription if you wanted to gain more skills. In fact, you were in it for the long-haul much more so than in a classical grinding MMO. A teenager with much free time on their hands and little social life to speak of may advance rather quickly if skill progression is based on XP grind. An adult with a job, a family, and a mortgage would inevitably fall behind. In EVE you have to keep your subscription paid to gain your skillpoints, and that playing field was level across the board with the slight advantage extra ISK grants the player because they can buy attribute improving implants which increase learning speed slightly. Time was what players had to sink into EVE in order to become better, more explicitly subscription time. On a personal level I am very much on-board with this. 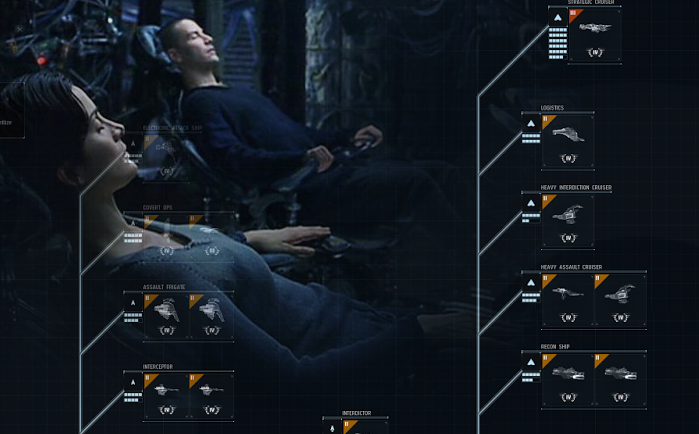 EVE is a complex game, and I have argued before that the time it takes to acquire skillpoints matches in broad strokes with the time it takes to get a grip on how the game works. There were, and still are, a few unnecessary constraints on that system though. Some have been removed. Learning skills used to be one of the major roadblocks on the path to actual progress, and they are thankfully gone. Recently CCP have increased the starting skill levels, which is also a good thing in my opinion, since often the basic fitting skills prevent players from properly flying even the most basic ships. There is still potential for change there, such as the suggestion several people have made to remove basic fitting skills like Mechanics or Power Grid Management altogether. In the end, despite shortcomings, the skill progression system of EVE remains an interesting concept that fits well with the game’s nature, but it is not everyone’s cup of tea. No matter how much I and others may agree with the skill progression system of EVE, it was always a puzzling and deterring factor for many others who were used to a more classical approach in MMO progression. For those people, the Character Bazaar offered a way out. Either through grinding ISK like crazy – similar to the way one would grind XP elsewhere – or through paying RL money for PLEX , it was possible to gain the ISK necessary for buying a high-skillpoint character. Of course, in a game like EVE this was a precarious course of action at best, and the killboards are littered with the lossmails of people who paid for alts that could fit and fly ships the player had no experience with. One does not simply buy skill at playing EVE, no matter how high the skillpoints levels are. Still, the Character Bazaar remains popular and widely used, not only by newer players who wanted to jumpstart their career in EVE, but also by those who wanted specialised alts for different purposes. Over time, training such specialised alts and selling them has become a lucrative business for older players. It is possible for every character with a minimum of 5.5 million in skills to extract skillpoints and package them. The Skill Extractors cost Aurum which can only be bought with RL money or by exchanging PLEX for it. They can also be sold for ISK on the in-game market. Skill Injectors can be sold on the in-game market for ISK. The skillpoints which are gained from injectors have a diminishing return. The higher your amount of skillpoints, the less you get from a Skill Injector. Players can extract unneeded skillpoints from accounts they have. For example, if all they do is PvP, they don’t need the mining skills trained during the tutorial. Players can customise their low-skill characters according to their wishes. It is no longer necessary to trawl through the character bazaar for a character with the exact set of skills needed. A player can just buy Skill Injectors and distribute the points as they wish. Unused alts can be liquidated down to the minimum level of 5.5 million points. An alt that will not sell for a competitive price on the character bazaar because their skills are not ideal, can still be used to extract the raw skillpoints and sell them on the market. Identity retention. It is no longer necessary to buy a new character with a history that may reflect badly on you in ways you don’t even know, or with a name you didn’t choose. You can get the needed skillpoints instead. So far the positive side of things, but it wouldn’t be a controversial discussion if there weren’t a few caveats. To begin with, this system rubs many EVE players the wrong way because it feels too much like a Pay-To-Win scheme. The logic behind that reasoning appears intuitive. By spending money, a player can gain advantage through buying skills that are necessary for a better ship or better bonuses. Personally I would contest that though. True Pay-To-Win would imply that there are powerful items which can only be bought with money and are otherwise not available in the game. Furthermore, by the logic applied here, EVE would already be Pay-To-Win with the existing systems. After all, I can spend money on PLEX, convert that to ISK and then go buy myself an officer fit alliance tournament ship. Like I stated before though, success in EVE is not simply based on equipment and skillpoints. Case in point: This ship loss. A definitive example of a player who thought that better equipment will win them any fight. No amount of amazingly overpowered in-game items can beat superiour tactics and execution though. When it comes to leadership this is even more true. 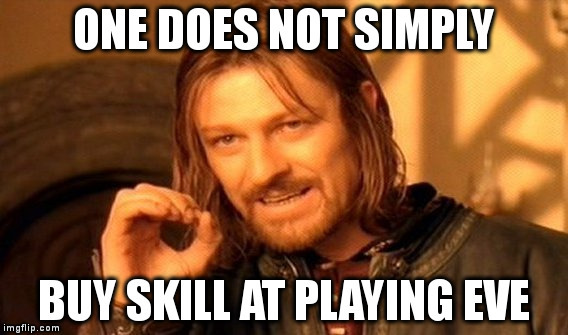 None of the great leaders, FCs or solo PvPers of the game became who they are because of the skillpoints and assets they have. Still, there are issues with this new system, and as usual they manifest at the level of large and wealthy in-game organisations who have the possibility to apply the skill extraction and injection mechanic on an organised large scale. Karmafleet, Northern Army and Pandemic Horde are new-player focused groups which have very wealthy and well organised backers. For their patrons it would be possible to take in a fresh player, give them ships and supply them immediately with all the skills necessary to use them. In itself that doesn’t appear as a bad thing, but it exacerbates an issue I have often pointed out as problematic: In the context of EVE as a game that does not only require the right stats and equipment for success, but also actual experience, I see it as a questionable approach to fast-track players directly out of trial into so-called “endgame content”. Doing takes away the player’s ability to truly learn to play the game and find their own path. In the worst case tunnel vision and constant handholding can turn them into the proverbial “F1 monkey”. The skill trading system will make it even easier to do so. Admittedly this is likely to be a non-issue for many EVE players who will simply enjoy the fact that they can join large fleets led by experienced players of established organisations in only a few weeks. Under the bottom line, the Pay-To-Win part of the controversy appears overrated. The grievances players have with the Skill Trading System do not only focus on that aspect though. None of these numbers fit within 500.000 without fraction. Here, the first level fits a neat 400 times into 500.000. There are also combinations possible which result in round numbers. For example one Skill Extractor can hold 12.5 level III rank 5 skills, but that would mean a player has to buy two of them to extract 25 level III rank 5 skills. The overhead in doing the math is not insignificant, and then the question remains whether people will have the pre-trained alts from which they can extract such amounts cleanly. Of course it is possible to extract only partial skill levels, but that remains cumbersome and generally results in a messy affair for both parties. If we take the example of the rank 5 skill above, then at level V the extractor can fill two full Skill Injectors and still remain at level IV. That may be desirable if they don’t want to lose a specific skill altogether. For the injector the picture looks differently. They would achieve level IV with those two injections, but then they would still have 280.000 skillpoints to train. Buying another injector to get around that would then leave them with a surplus of 220.000 skillpoints. Those could go into achieving level IV of a rank 3 skill, but again that leaves the injector with surplus skillpoints. The gaps can of course be filled with training time, but overall it remains an overly complicated affair of piecemeal skillpoint patchwork. For the enterprising Skill Injector traders who would have a farm of skillpoint generating alts, the possibility to extract partially trained skills is an option too, but that would mean they have to monitor the skill training progress to optimise their time-to-market instead of simply training up to certain levels which happens at pre-calculated times. In the end it is also not exactly user friendly. 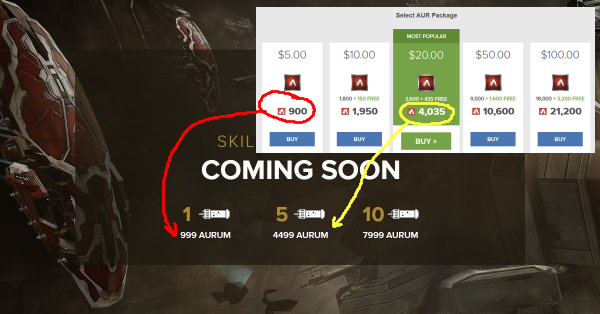 The incongruence between skillpoints and levels becomes even more pronounced when considering that Aurum package deals do not align with the Aurum price of Skill Injectors. As a result, anybody who wants to extract skills will almost always be forced to overbuy and be left with surplus Aurum which again can not be spent entirely on in-game items. The fact that the conversion rate between Aurum and PLEX is fixed also means that conversion from ISK in-game is difficult if not impossible to optimise. In the end players who engage in skill trading are always left with Aurum that remains unspent and can not be transferred to another account or character. Since Aurum can not be sourced inside the game but has to be paid for with RL money, someone somewhere along the line of transactions has to spend more than they would want. Edit: On reddit, /u/KodiakRS posted a breakdown on the loss buyers would make. Either CCP did this intentionally to make people spend more than they would otherwise have to, or they were unable to find an implementation which doesn’t have that problem. Second hand information from Chance Ravinne indicates that they opted for a system that would make things easy for the recipient of injected skills rather than the extractor. That still doesn’t explain the strange conversion rate, and in either case the result is questionable. The Aurum to Skill Extractor conversion ratio is a serious blunder, and I would hope CCP adjust that before the patch goes live this week, because doing so later is problematic. In most cases, introducing a badly balanced or sloppy mechanic can be fixed with iterations, but in this case the mechanic is directly tied to RL monetary expenditure, and changing it later would mean that early adopters literally pay the price for the mistakes of CCP. In my opinion it would have been a much more elegant solution to create a possibility for extracting skill levels rather than skillpoints. Pricing could depend on the rank of a skill and the level, and it would be intuitively clear for both the extractor and the injector that they are trading – for example – level V of a rank 12 skill for X amount of Aurum to extract and Y amount of ISK to buy as Skill Injector. Of course that would have meant the creation of many different tradeable commodities on the part of CCP, but as the matter stands, they have created a system which forces players into number crunching and suboptimal solutions. Time To Shoot The Jita Monument? Strongly opinionated as many EVE players are, complaints about this new feature have come up on reddit and elsewhere. Some compare it to the infamous “Greed is Good” mindset which was presented by CCP Soundwave and defended by CCP’s CEO Hilmar Veigar Pétursson to his ultimate regret. I find that an overreaction. After all, we are not dealing with ridiculously priced cosmetic items here, but with a commodity that involves a marginal loss of money for a measurable in-game advantage. It still is an unwieldy implementation that involves a lot of overhead to be used efficiently, and it creates the impression that CCP are trying to extract money from the marginal loss that players would make in the process of overbuying. However, even back in the day of Incarna, I didn’t see the point of being so angry, the simple solution would have been to tell CCP to stick it where the sun don’t shine, refuse to buy those overpriced monocles and let them know that their no-content captain’s quarters release was absolutely worthless on top. The outrage which comes from a few vocal commenters today appears to me as even more blown out of proportion. If you don’t like the feature, don’t use it. In fact the best protest would be to simply refuse sourcing Skill Injectors. That would potentially make the new system a failure right out of inception. Due to a lack of supply, the Skill Injectors on the market would then be so prohibitively expensive that only the desperate or frivolously rich would buy them. Maybe the people in secluded nullsec PvE pockets who are levelling up their officer-fit ratting carrier could be potential users of this feature then? Since there is significant protest, I do have my doubts though whether the Skill Trading System will be a successful revenue generator for CCP. In the end, it may just be simpler for many to wait for skill training to finish and learn how to play EVE in the meantime. For those who seek profit, other ways of trading may provide less complicated opportunities. Certainly, some will make use of it, but they are more likely to be wealthy players and organisations who already have the alts to burn and the PLEX to convert into Aurum. I can of course be wrong with this projection, but I would expect that the main use will come from those major alliances who have new-player organisations as adjuncts. For them the incentive will not necessarily be profit, but to provide a service which will attract players who seek instant gratification rather than involving themselves in the game and learn it at the pace that the skill training mechanic dictates. Then this will sadly turn into yet another feature which mostly benefits wealthy and established groups, yet again showing that Malcanis’s Law(*) applies.